Got an idea for how to help improve an area in Leith? Leith Creative and GivRum can help Make It Happen! We’re calling on local people who care about their community to take part in a day of action and adventure in Leith. Make It Happen is an event where participants have just one day to take a simple project from idea to reality – Challenge Anneka style! 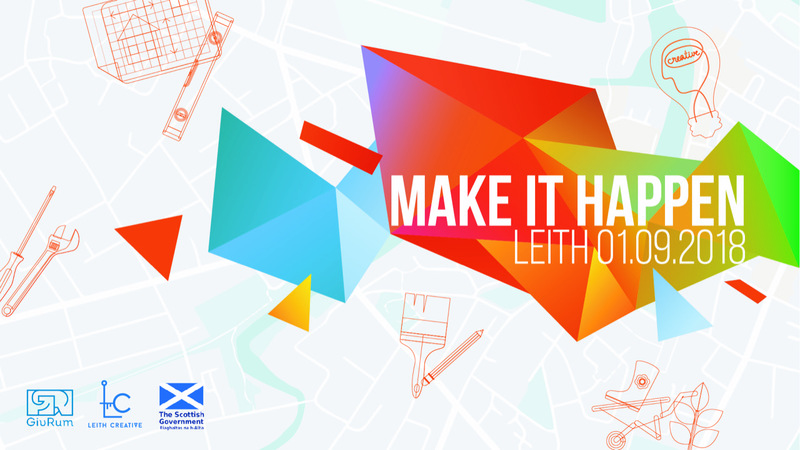 Together we will brainstorm on what’s needed where and make small changes to improve some of the areas around Leith Theatre and Leith Library. A public vote in the morning will decide the best ideas to hand, ideas which will then have access to a materials bank and limited cash fund in order to complete the projects within the day time limit. There will also be some tools available, plus team facilitators to help groups realise their projects. 12.30-17.30 Winning ideas have 5 hours to complete their project in teams! This event is part of Leith Creative’s Making Places project, supported by the Scottish Government, Creative Scotland and the City of Edinburgh Council. In collaboration with GivRum – a Danish non profit organisation working to democratize urban development. This entry was posted in Events, Entertainment & What's on, LHNCC area and tagged GivRum, Leith Creative, Scottish Government. Bookmark the permalink.